Do you like large crowds and sitting right next to people you don’t know? Then you should definitely book a standard canal tour on a large tourist boat. Otherwise, go for a private boat rental. There you can fully enjoy the company of the one(s) you like. Whether it be your partner, your family, your friends or your colleagues. And did we mention that hiring a private boat is also a great way to conquer the heart of your date? One hour or an hour and a half might be a suitable time slot for a game of basketball or soccer, or a television show. But it is definitely too short to have a relaxed canal tour while enjoying the full beauty of the Amsterdam canals. Whereas all standard canal tours on large tourist boats last between one hour and an hour and a half, you can rent your own private boat for a longer period of time: three hours, four hours or even a full day. Driving a boat yourself is great fun. In particular on such beautiful waterways as the Amsterdam canals. But the options for driving yourself are limited. Of course all large tourist boats are driven by professional skippers. And so are the large private rental boats. No way they will let you drive their valuable boats. The only rental boats you may drive yourself are small electric boats that we provide. How come? Because this type of boat is safe and easy to drive. Even if you have no boating experience and no license. The only things you need are our personal instruction before departure and some common sense. Amsterdam has around 165 canals with a total length of roughly 75 kilometers. There is a lot of variety: in size, in looks, in age and in the amount of traffic. So there is a lot to explore and a lot to choose from. Here’s an overview of our favorite canals. With your own private boat it’s you who decides where to go. 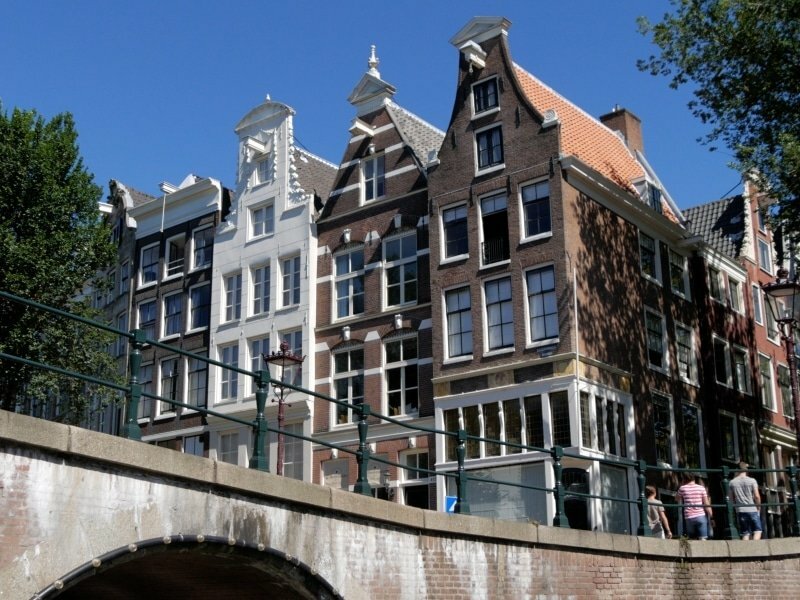 Do you fancy the more intimate and less frequently visited canals in the Jordaan area? Just go there! Or would you like to spend some more time admiring the houseboats on the Amstel river. Just do it, with your own private boat. On our boats you are allowed to bring your own food and drinks. Whatever you like, with the exception of barbecues. These nearby supermarkets and take-aways provide nearly unlimited choice at fair prices. Do you want to stop for a nice coffee or an ice cream on your way? Do you need some more time to take that perfect picture? Too bad if you’re not in charge and your boat goes on. That’s different with a private boat hire. You decide where and when to stop on your way. Whether it’s only for a short toilet break or for lunch at a water front terrace. If that appeals to you, please check the water front terraces on the canal map that we provide with your rental. Taking out your own rental boat is great value for money. Let’s do the math and compare renting a private boat with a standard tour on a large tourist boat. The average price for renting your own private boat is euro 89,- for three hours, equaling less than euro 30,- per hour for the boat. Depending on your group size the average hourly rate per person varies from just under euro 15,- per hour (if it’s just the two of you) to less than euro 5,- (for a group of six). The average price for a standard canal tour on a large tourist boat is around euro 14,- per person per hour. Are you ready to rent a boat and enjoy all the benefits of a private boat hire?